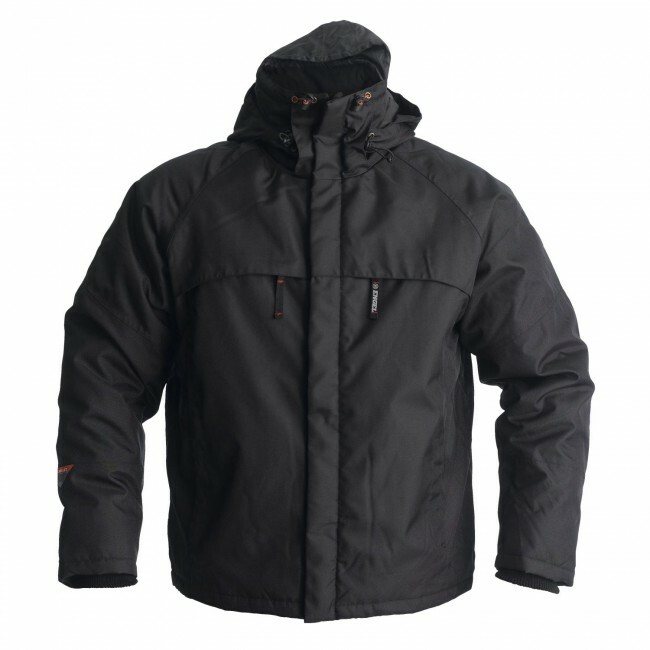 Uni-colour, water repellent and breathable winter jacket with FE-Tex membrane and taped seams. Microfleece on inside collar. Quilted lining. 2 front pockets and 2 chest pockets with zipper. Spacious inside pocket on left side. Inner phone pocket with hole and strap for phone/MP3 cable. Longer back and adjustable waist. Detachable hood. Adjustable cuffs with storm placket.